•	UNIVERSAL: Holds smart phones, tablets or E-readers from 4 to 10 inches, NOT FOR BULKY CASE. •	CUTE & FUN: Cool, cute, compact, unique thumbs-up design, as fun as a toy. •	FLEXIBLE & DURABLE: Built in premium Eco-friendly TPU plastics, the cell phone stand is more flexible for stretching, durable, longer lasting. •	MULTI-ANGLE ADJUSTABLE: Easy to adjust the viewing angle by sliding the cute hands up and down. Support both vertical and horizontal viewing. 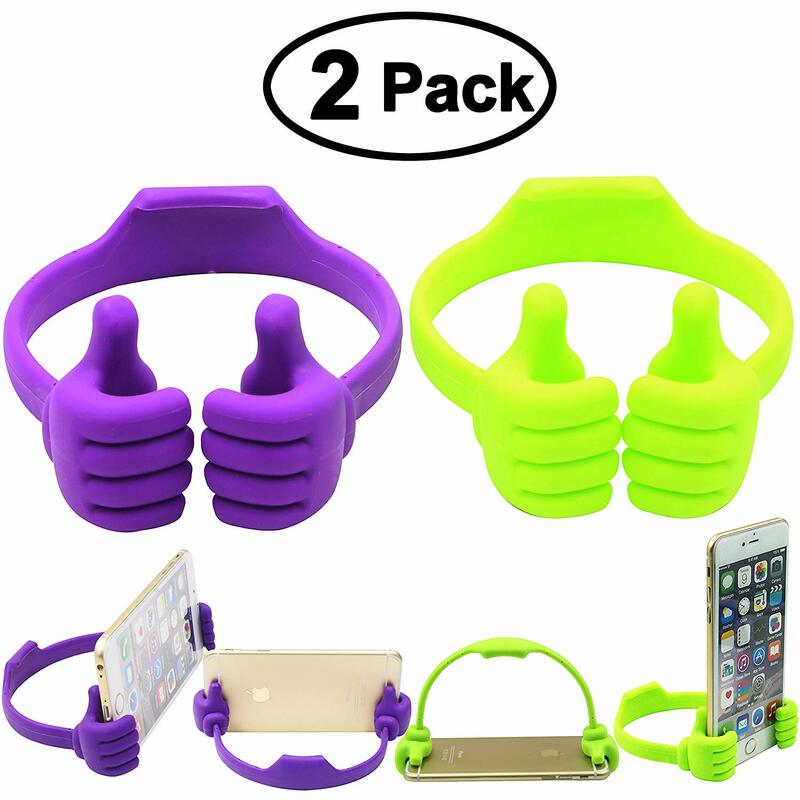 •	HANDS FREE & SAFT: Great to hold up mobile phone snugly and securely for hands free operation. Soft TPU plastic hands protect your device from scratches and sliding."